I love movies. I always have. I love movies and good, entertaining television shows. I’m talking shows like Twin Peaks, X-Files, Rescue Me, and Gilmore Girls. Not crap like Jersey Shore which I am repulsed by, but just can’t seem to stop watching. I’ve loved movies since I was young. Growing up in Bird City, we rented VHS tapes from the Video Kingdom in the town of St. Francis, 15 miles away. For awhile, we didn’t have a VCR, so we had to rent one of those too. When your nearest video store is 15 miles away and your Mom and Dad refuse to make more than one trip in a week, you learn to choose wisely, and to stock up. In the nearly eight years that we lived in Bird City, I’d say we watched over 75% of the movies in that store. The remaining 25% were most likely rated R and deemed inappropriate by my parents. We did, however, manage to sneak a few past their radar–films like The Exorcist made for a rather sleepless sleepover with some of my friends from school. Long before Steven and I began dating, we began going to movies together. He is as big of a movie and TV fan as I am, and we both love to watch things and then talk about and analyze them afterward. Both of us also tend to watch things we enjoy over and over again. Between the two of us, we have amassed a rather impressive DVD collection, and both have movies that we went to see multiple times in the theater. You would think that people like us would have jumped on the Netflix bandwagon a lot sooner, but Steven and I both enjoy the whole movie experience. We like the big screen, the big sound system, sitting in theater seats and munching on popcorn in the darkness. We also like buying the movies that we love so we can watch them whenever we feel like it at home. These days though, with a busy toddler and a bit of a tighter budget, our movie-going days have dwindled to near extinction. 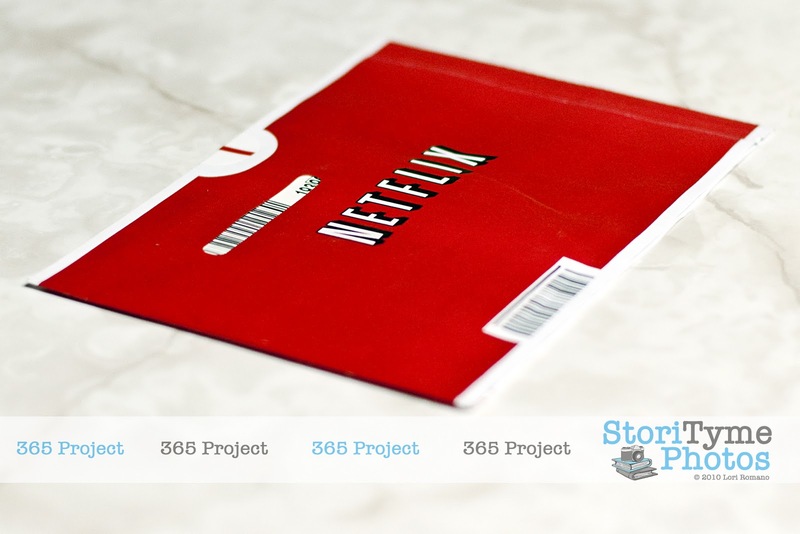 After moving in December, we decided to try a free trial of Netflix on Steven’s PlayStation3, since it allowed us to instantly download movies and TV shows. After browsing the selections, we decided to give the show Rescue Me a go. At one time or another, both of us had seen bits and peices of at least one episode and thought it looked like a great show. Plus, we’re both Denis Leary fans, so how could we really go wrong? We were immediately hooked, and between Christmas and New Year’s Day, we managed to watch the first 5 seasons of the show. We were also hooked on Netflix and decided to go ahead and subscribe. We’ve begun filling both our instant streaming queue and our mail order queue with every movie and TV show we have ever wanted to see and several that we have never even heard of. From old classics like Gone With the Wind and The Sound of Music to the latest releases like Grown Ups and Knight and Day, we are watching them all. The best thing about Netflix is that even when you end up watching a really terrible movie (like After.Life starring Liam Neeson and Christina Ricci or American Psycho 2 starring Mila Kunis and Willam Shatner), you don’t feel like you’ve been robbed. Sure, you want those two hours of your life back, but at least it’s not like you just shelled out $40 to go see a crappy movie in the theater. Plus, with Netflix, I finally get the chance to make Steven watch some of the movies that I absolutely rave about but that we can never find when we go to Best Buy to buy a DVD, movies that make Steven roll his eyes at me, movies like Darby O’Gill and the Little People. You haven’t lived until you’ve seen a young Sean Connery singing in Darby O’Gill and the Little People! And just guess what’s up next on our mail order queue? 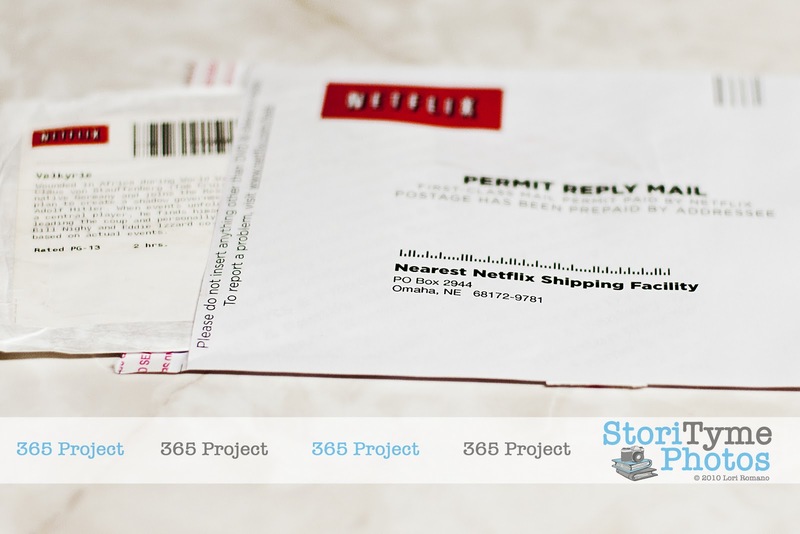 Today’s 365 Project is dedicated to the movies and TV shows that we love, and to the lovely people who brought us Netflix. Tomorrow night, we have a date watching Valkyrie, and then, my friends, Steven will be introduced to Darby O’Gill. After that, we’ll see where our queue takes us. 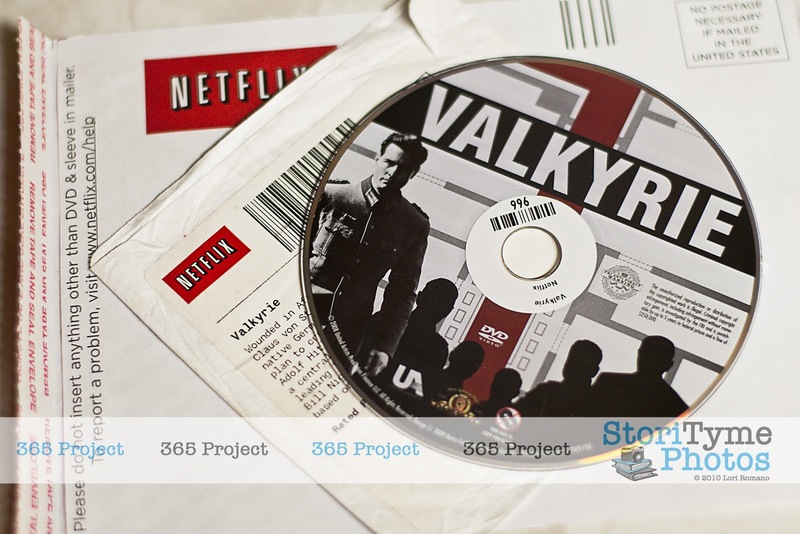 >I discovered Netflix while Eddie was deployed. Love it!! We are running out of shows to Netflix, but thanks to Julian not sleeping much lately, we haven't had much time to watch anyhow. I highly recommend adding Dexter to your queue at some point! >We LOVE Dexter!!! We have the first couple seasons on Blu-Ray and are waiting for the next to come out! Great show! Have you guys watched Rescue Me? We love that one too!